There are many ways to use crema marfil tiles in your next project, and you may have decided to use it through a large area of the property. Whether you’re working it into a modest renovation or using it as the main flooring in a hospitality project, it’s important to work with the right supplier. There may be several to choose from, but they aren’t all offering the same consistent cuts, quality finishes, great customer service or wholesale pricing. You also want to work with a company that can provide you with excellent support in terms of matching tiles at a later time or maintenance products. When you consider all of these factors, it becomes clear that your best option is Nalboor. Many wholesalers only sell to contractors and suppliers, but we believe in providing service for all. We fill large and small orders alike, so you can turn to us whether you’re a homeowner redoing your foyer or you’re using crema marfil tiles to take your new housing project soaring to new levels. Our prices are based in part on quantity, so you can save more by ordering larger amounts. However, you don’t have to worry about being turned away because you’re a homeowner or a contractor handling small jobs. StonExchange has an excellent reputation as a supplier. There are many factors that play into their ability to provide clients with amazing natural stones at incredible prices, and you can get the same great prices through Nalboor because we’re one of their subsidiaries. Our natural stones come from their family-owned quarries overseas, and everything we sell is manufactured by highly experienced craftsmen who take pride in their work. The quality control measures that are in place for every stage of the process ensure that you receive the premium stones you expect. While the quarries may be overseas, we maintain a large distribution center right here in the United States. Based out of Miami, our center is able to ship to almost any location in the United States and the Caribbean. We work with national shipping companies to bring you attractive rates that will help you save even more money. Orders are filled immediately upon receipt, and we take great care when packing the tiles to minimize damage. By contrast, you might wait several months to have an order filled if you’re working with an overseas supplier or one that doesn’t have a domestic warehouse. When you need tiles quickly but don’t want to pay full retail price in your hometown, we’re here to help you. Here at Nalboor, we believe that the details really do matter. If you’re not sure which stones are appropriate for your project, we’ll help you review the options and choose the right one. Once the order is placed, we’ll confirm everything to minimize errors. Our manufacturers pay close attention to detail when shaping and polishing the tiles, and we pay attention to detail when the orders are filled. Our customers love this attention to detail and rest easier knowing that their orders will be filled correctly the first time. The industry standard is to order 10 percent extra to allow for breakage in shipping and scrap during installation. We strive to package the tiles carefully so that they won’t break, but we know that accidents can still happen. Things happen on the job site and even during shipment. If you find that you don’t have enough tiles to finish the work, we’ll be happy to fill out another order and send the balance. You won’t have to wait long for the new tiles to arrive, so you can keep your project on time and within budget. We also offer the maintenance supplies homeowners need to keep natural stone surfaces looking incredible. Our sealers and cleaners come with instructions that are easy to follow so your customers can keep their tile floors looking great. They say that customer service is dead, but that’s certainly not the case at Nalboor. We develop long-term relationships with our larger customers, and our smaller customers receive the same great service. Whether you’re placing an order every week or just once every decade, we’ll work to provide you with the amazing service and courteous treatment that you deserve. This high level of service actually starts when the stones are quarried and manufactured because our goal is to provide you with attractive stones that are durable and perfectly finished. It continues through the order and delivery process, and we hope that you’ll appreciate the great treatment. Head to the nearby home improvement store and you may be appalled at the price of natural stone tiles. We know that you’re working on a budget and trying to control expenses, so we offer wholesale pricing to help you save. We’re able to keep our prices down by cutting out the middlemen and working directly with our family-owned quarries. We also keep our rates low by controlling our own expenses and then passing the savings on to you. You can take the savings up another notch by ordering in bulk. Some of our customers choose to maintain their own inventory so that they can reap the largest savings. You can also increase your order amount by buying a few extra tiles to put in storage in case some break and have to be replaced at a later time. When you’re in the market for crema marfil tiles, don’t go to the neighborhood store and pay their outrageous prices. You also don’t have to order from an overseas supplier and wait months for delivery. When you call Nalboor, you’ll get the best of both worlds. You’ll have the low rates you need along with the fast shipment that’s only available with domestic supply centers. Our customer service representatives are looking forward to working with you, so visit us online today to look through our available inventory. 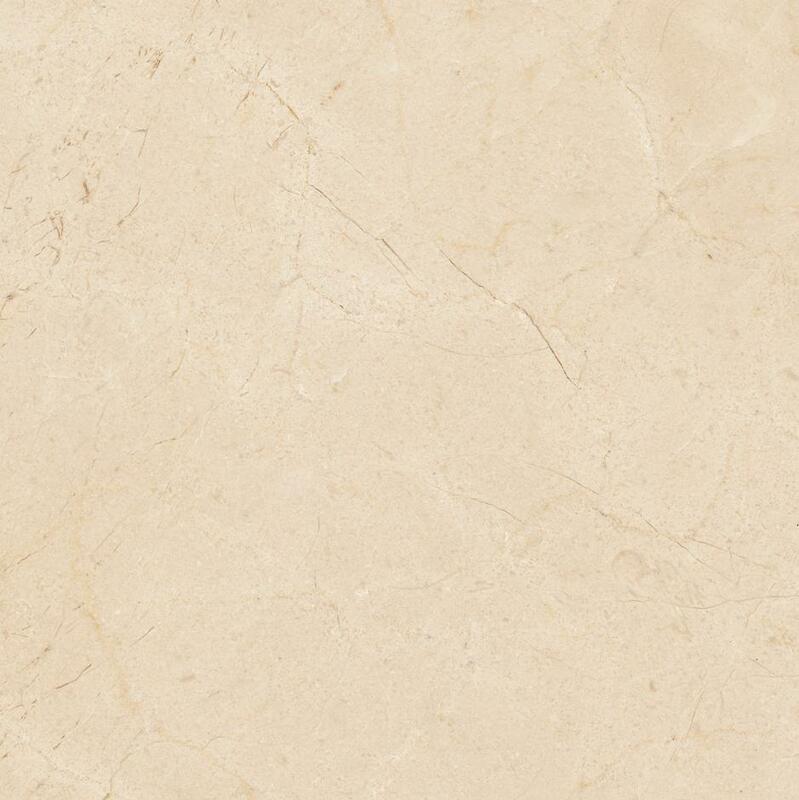 Crema marfil tumbled tile in creme to beige tones. Tumbled tile is textured and works great in showers.